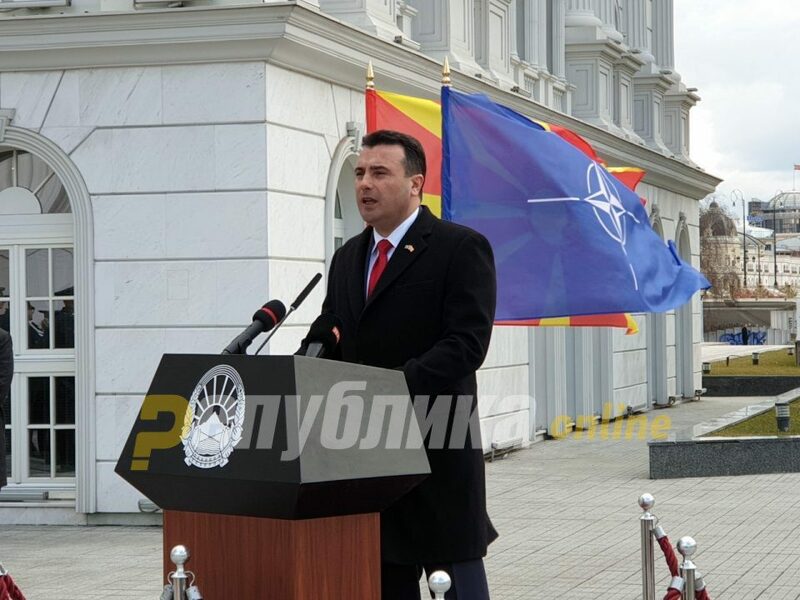 During his remarks at the NATO flag raising ceremony in front of the Macedonian Government, Zoran Zaev said that he rejects claims that the European Union is disintegrating. Zaev said that Macedonia, which he referred to “our country” or the “European Republic of North Macedonia”, is staking its future on the prospect of joining the EU. I don’t believe in those stories that the European Union is falling apart. We see it as stronger than ever. We belong there, historically and politically. There is a lot of work ahead of us and Brussels won’t let us cut any corners. We don’t expect any leniency from the EU. But we have much to offer to Europe, multicultiralism, cooperation, science, Zaev said.